she got her predicate sport. She is a mare who was ridden by Bennie Professional Dressage and has level Z2. She is very well worked with a very high level, it is a mare very calm, very close to the man. 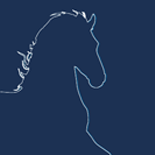 Complete papers, ideal breeding and dressage.